When you finally manage to escape the shackles of work and your city and end up in the beautiful hills, do take a moment. Take a moment to watch the Beas River wash the lands of Manali and kiss the feet of the mighty giant hills around you. Take a moment to breathe into the fresh mountain air that smells like freedom and wildlife. Take a moment to hold in the green around you. Maybe sit down cross-legged allowing this very air to fill your civilization tired lungs. I never understood the city air. What’s to understand in the air, you ask? Well, it never went with my body or soul. However, sitting by the side of the river breathing in the mountain breeze made me change whatever I had grown up knowing about it. That moment, the moment when I realised how it was to breathe in fresh air made me fall in love. The temple bells and the chants worked pretty well for the background. So, long story short, I think you should all go on this trail of temples in Manali to not just rediscover yourself but fall in love with yourself all over again. 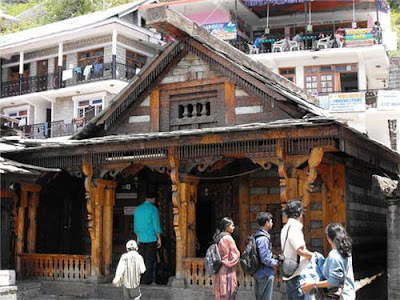 Here are 7 temples in Manali you should not miss! This temple is a delight to any art lover’s eyes. Sitting calmly amongst pine trees, this pagoda style temple is away from the hustle bustle of the market. When Maharaja Bahadur Singh constructed this in 1552, little did he know what significance it would hold in the hearts of devotees. Worth a visit we say. Also, you have amazing place to shop around. The unique part about the idols in the temple is that the stone carvings actually emerged naturally from the earth. No, we did not make that up. 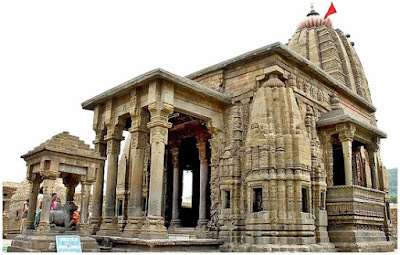 This temple is devoted to Hadimba, Bheem’s wife from the epic Mahabharatha. If you are lucky enough to be here during a local wedding you will have the time of your life witnessing the culture of the hills. September to February is the time where you will be able to see the snow. The best way to visit Manali is on a Manali holiday package. On Tripshelf.com you can find great Manali Holiday packages by volvo and by car to compare across. If you are the one for a walk, head here. 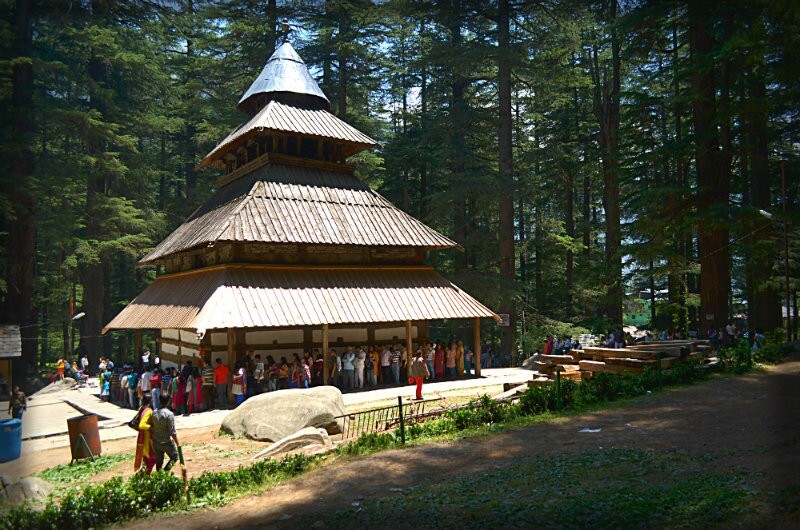 It is a pleasant walk amongst the pine, oak and deodar trees and through quaint little villages. Carved out of wood this temple is a 10kms trek from Kullu. This temple also comes with a strange ritual, or a story. The temple has a 60 foot staff protruding out of its roof. Every year lightning strikes it destroying the shiva ling. It is believed that lord Shiva takes the pain of all humans on him hence the ritual. They do put it back together afterwards, using a mix of sattu (Flour) and Butter. We think this ritual alone makes enough reason to visit here. Don’t you agree? 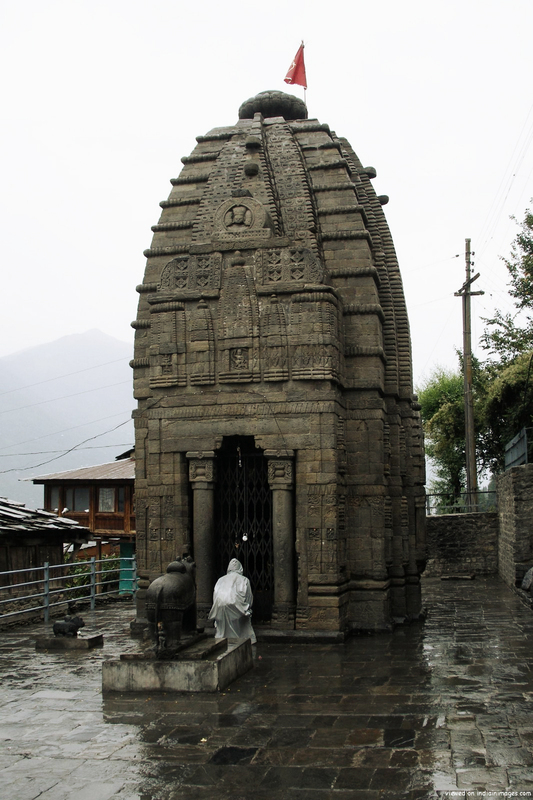 If your visit coincides with monsoon, you may witness the ceremony of putting together the Shivalinga. Try July to August, although refrain if the rains get really bad. Otherwise, September is good enough too. If you are looking to trek, go anywhere between March to June. The hard to reach location of Malana and the temple itself makes it a joyous trip for those who seek adventure or nirvana. If you have the penchant for long treks, then you may love the surrounding Parvati Vally trails. You may need special permission to trek on some, but it would be worth it. You may have heard of Malana for one reason or the other. The Jamula temple is considered auspicious by the Gaddi tribes. The temple also served the dual purpose of a court to solve the village issues. The gaddi tribes have their unique way of worship. If you can see a court in session after the holy visit, that would be the cherry on the cake. March to June, we say. The weather is pleasant and the winds are amazing. On Tripshelf.com you can compare packages to Manali and only book the one you believe matches your requirement. We've put together a great list of Manali tour packages here. If you have a love for everything art and architecture, you will fall in love with the Shikhara style architecture- not common in this part of the country. You could sit and breathe in the lush green beauty by the Beas river like I did or you could strike a conversation with the priest, they may have story to tell afterall this temple was made in 12th century. Lord Shiva and Parvati are an example of true love. 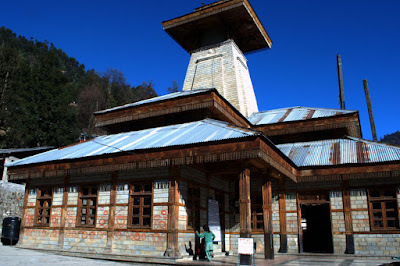 This temple is dedicated to them and located immediately below the Naggar Castle. 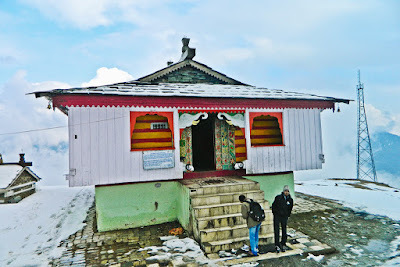 Devotees of Lord Shiva shall find peace here. The Shivratri celebration here is to watch out for. Anytime between March to June if you are looking for adventure, and anytime between September and February if you are looking to relax. 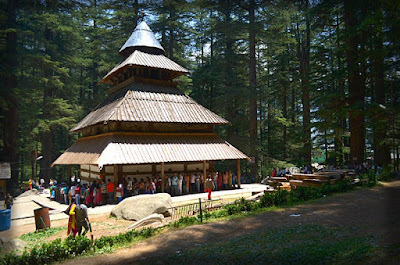 Sitting amidst the deodar tress is this small Krishna temple. Yes, it is one of those places that are untouched by chaos and pandemonium. This temple yet again was made in the 12th century. Go for the untouched virgin beauty of the place. Located 500mts uphill from Thava, this temple has idols of Lord Krishna, Radha, Laxminarayana and Garuda. The platform that hosts the idols also houses a chariot which is used for a road show during Dussehra. You may not find many tourists here, that is exactly why you stand a fair chance of finding yourself and your love. Must witness the Dussehra celebration- September to February is also a good time to visit other wise. The monsoons have drawn in and the air is nice fresh and nippy. Manali is a love affair for many in India. You should get the best holiday package to Manali before you go. Do take a look on Tripshelf.com before you go! 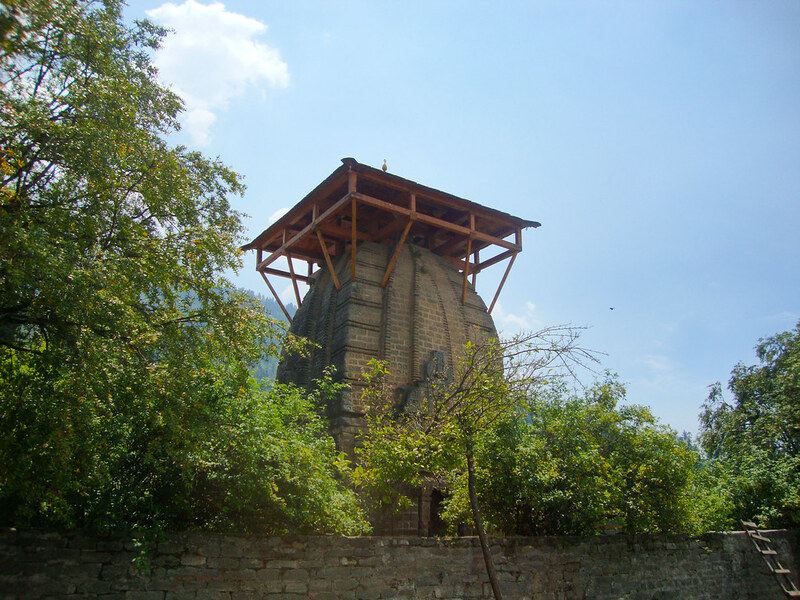 Above the Shaminallah Village, this temple houses the idol of Kuldevi and is a location for celebration during Dussehra. Kuldevi is also worshipped in other parts of the country. The idol is amazingly serene to look at. The Dussehra celebration in the region is the best time for devotees to follow the spirit and love for god. September to February works amazingly for this place. Sitting amidst cloudy hills and beautiful trees, this temple is a sight to the eyes and a balm for the soul. This temple is made up of wood which makes it look appealing on so many different levels. If you step out you could see the waterfall from this place, you may not be able to reach it since it is located far uphill but the mere sight of water hitting the ground bursting into foam and giving out the smell and taste of earth is enough to swipe you off your feet. Said to be the creator of the world, Sadhu Manu is worshipped at this temple. He also created the Manusmriti, this is the only Manu temple on the planet and is pretty popular amongst locals and travellers alike. Manali offers different seasons and different travel experience with each, the best time to go here would be September to December- post monsoon is better if you want to see the waterfall in its glory. We hope you do visit these temples on your next Manali vacation! I've shortlisted a great set of holiday packages to Manali here from multiple credible operators. Prices are as low as INR 12999 for a 5 night holiday package to Manali. I don't think it gets better than this!